We call this napping position "La Faceplante"
Christmas Eve night Kyle and I went to the night service at Bethany Community Church in Greenlake with my dad and sister. It was a great service and a really nice little church. Outside of Bethany...Our first Christmas! Prom Pose never gets old! Our couch came from Ikea. It was broken in one place, but it was too much work to return it so Kyle just came up with his own repair job for it. Worked liked a charm. Definitely NOT interested in re-packing all of that! We got a light fixture that fronts like track lighting and installed that above the fireplace. We thought we turned off the power to the socket but found out afterwards that Kyle had replaced the whole thing hot. Such a pro! After - let there be light! We picked up knobs for all the cabinet doors in the kitchen. They look great and I already can't remember not having them. We bought a rack for the storage shed outside. The rack got the best of Kyle (he will tell you adamantly that the rack itself was poorly made). To be fair, it was incredibly poorly made (shame on you Home Depot!). All it needed in the end was my tiny girl fingers to be able to hold the bolts in place while Kyle screwed them in. I still give it a thumbs down as far as craftsmanship goes, but it will get the job done. organizational perfection with the new rack (on the right)! New Year's Eve we spent watching a movie at Kyle's sister's house, and then headed out to an 80's themed party that a friend was hosting. No pics from that night - and we we're totally "that couple" that left at 12:10 AM to head home because we were SO tired. 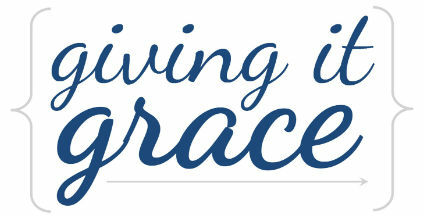 Giving it grace: With so much going on, it's hard not to remember every little detail. I've been forgetting things left and right. I'm trying to remember that God is in control, and He is not surprised by how fast things are moving for us. I know that for those who love God, all things work together for good - I'm just learning that what I consider "good" is subject to my tiny little understanding of the world. Knowing that our God is a good God who loves us allows us to (try to) rest in His grace and just enjoy this time in our lives. Kyle is better at it than I am, but watching him be so calm during all this change is very encouraging! PS. We may not post again for a few weeks, but Kyle had the opportunity to taste "the best beer in the whole world" and can't wait to share his thoughts about it when we get back from our honeymoon!